Saturday, September 14 at 8:30 p.m.
Wednesday, September 18 at 8 p.m.
WaterFire has captivated more than 15 million visitors, gaining national and international attention. 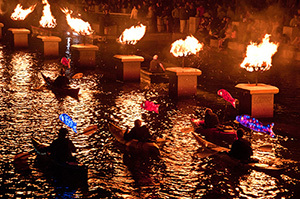 Now, WaterFire: Art and Soul of a City takes audiences behind the scenes of one of the world's most extraordinary nighttime events. WSBE Rhode Island PBS is proud to present WaterFire: Art and Soul of a City on Monday, September 9 at 7:30 p.m. Experience WaterFire: Art and Soul of a City on WSBE Rhode Island PBS on Monday, September 9 at 7:30 p.m. 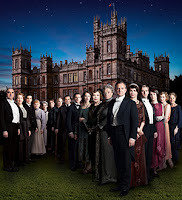 In case you have not yet heard, the extraordinarily popular PBS series Downton Abbey, created by Academy Award®-winning writer Julian Fellowes, returns to Rhode Island PBS for season 4 on Friday nights beginning January 17, 2014. That sounds so far away and so long to wait! That's why, in anticipation of the new season premiere, we have a series of mini-events planned for you, all leading up to our Dinner Party and Season Preview on January 3. More on that coming soon! In the meantime, we present Downton Abbey Revisited on Friday, September 13 at 9 p.m. Updated to include Season 3 events, this special goes behind the scenes with host Angela Lansbury to relive great moments with your favorite characters. 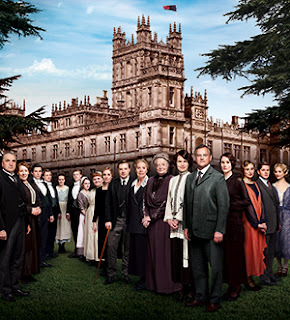 Downton Abbey Revisited includes clips, interviews, and "making of" footage, all in a seamless flow of fondly remembered moments from the first three tantalizing seasons. 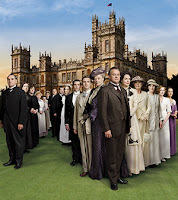 If you've not seen the series, or missed an episode, or just want to relish every dramatic, shocking, and amusing moment again, Rhode Island PBS rewinds the clock to 1913 Edwardian England with Season 1, Episode 1 on Friday, October 11 at 9 p.m. We will air every episode in Seasons 1, 2, and 3, straight through to the premiere of Season 4 on January 17. After we announced it in March, it's finally here: Meet Me at The MET rocks Thursday nights at 10, starting October 3. Each episode will feature performances by a wide variety of Rhode Island bands or bands with Rhode Island roots, captured live at The MET nightclub in Pawtucket, RI. 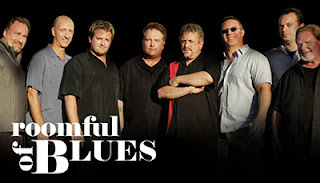 Forgive us for name-dropping, but you're going to love this range of performers: the Cowsills, Roomful of Blues, the Schemers, Rizzz, Brown Bird, Alec K. Redfearn and the Eyesores, Northern Lands, the Mallett Brothers, and Last Good Tooth. According to producers Nate Flynn and Rudy Cheeks, you could also see Joe Fletcher and the Wrong Reasons, Deer Tick, Low Anthem, Psychedelic Clown Car, Audio Revival and reunion shows by The Mundanes and Rubber Rodeo. Producers are also in touch with Tom Tom Club (Chris Frantz and Tina Weymouth from Talking Heads) about a tentative show for Meet Me at The MET. 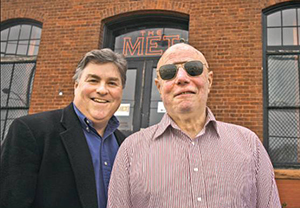 The weekly series will feature live musical performances taped at The MET (located at Hope Artiste Village, 1005 Main Street in Pawtucket), as well as interviews with musicians and band members and, occasionally, even archival performance footage of some of the bands from years past. Paesani: The Story of Italian Culture in America chronicles the massive immigration of more than 4 million Italians to the United States between 1890 and 1930, and the enduring culture they imbued into society. 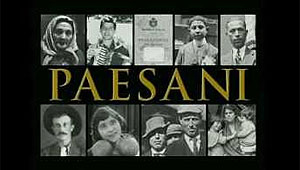 WSBE Rhode Island PBS will air Paesani: The Story of Italian Culture in America on Wednesday, September 11 at 7 p.m. Older generations have always passed down values, beliefs, and traditions to help younger generations identify with their name and heritage. Paesani: The Story of Italian Culture in America celebrates and preserves Italian heritage through a poignant blend of first-person storytelling, never-before-seen images, and insightful commentary. Italians will likely see themselves and their families in this film, and non-Italians will find echoes of their own ethnic upbringing and gain better understanding of how the Italian-American community has contributed to America’s quality of life. Shown as part of September’s fund-raising specials to benefit Rhode Island PBS, Paesani: The Story of Italian Culture in America will also introduce the Reflections of Italy vacation package from Collette Vacations for Rhode Island PBS viewers. Travel professionals from Collette Vacations will be in the Rhode Island PBS studios during program breaks to describe the ten-day tour of Rome, Florence, Siena, Venice, Assisi, Perugia, and Como. The tour departs on September 17, 2014, and returns on September 26. Click here for the travel itinerary. Following Paesani: The Story of Italian Culture in America, Rhode Island PBS presents Visions of Italy: Southern Style at 9 p.m. A Rhode Island PBS viewer favorite, Visions of Italy: Southern Style was shot in high-definition video from a helicopter-mounted camera, taking viewers on a seamless sojourn following along the rugged western coastline to the toe of the “boot” at Reggio di Calabria, and then inland over the countryside to Rome. This program features stunning aerial footage, an informative and poetic narrative celebrating southern Italy’s considerable charms, and a soundtrack that underscores the emotional connections America’s Italians have for their motherland. Images of Italy no tourist’s camera could capture are set to Neapolitan classics, choral selections, Italian folk songs, and the works of Italian composers such as Rossini, Puccini, and Vivaldi, with Italian-American performers including Connie Francis and Michael Amante. For more information about September’s special programming, visit ripbs.org. WSBE Rhode Island PBS transmits standard-definition (SD) and high-definition (HD) programming over the air on digital 36.1 and on subscription TV services: Cox 08 / 1008HD, Verizon FiOS 08 / 508HD(in RI), Full Channel 08, Comcast 819HD, Verizon FiOS 18 / 518HD(in MA), DirecTV 36 / 3128HD, Dish Network 7776. You've told us there are many reasons why you support Rhode Island PBS. Now, we're about to give you another reason, one that fits your lifestyle nicely. 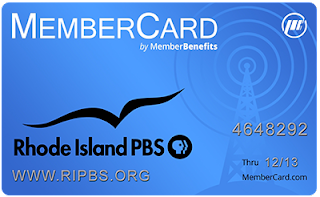 We are pleased to debut the brand new Rhode Island PBS MemberCard in early September. As an added reward for your loyal membership, your MemberCard offers 2-for-1 dining deals, discounts at local stores and museums, plus rewards for shopping at more than a thousand national retailers online. This valuable membership benefit is yours at the Membership Plus level of $75 or more. And with so many dining and shopping choices, your savings will soon pay you for your Rhode Island PBS membership! The new program rolls out in early September. In the meantime, feel free to call our Membership Department at 222-3636 x 209 if you have any questions or would like more information about your benefits. One of the most attractive and popular features is two entrées for the price of one at participating restaurants throughout the Rhode Island PBS viewing area (Rhode Island, southeastern Massachusetts, and eastern Connecticut). However, cardholders also get discounts and deals at more than 12,000 additional locations in the United States and Canada. The Rhode Island PBS MemberCard also offers members-only rewards for shopping at more than a thousand national merchants online, such as Best Buy, Target, iTunes, Barnes & Noble, and Kohl’s. To receive the 2-for-1 discount, Membership Plus members simply present their Rhode Island PBS MemberCard at a participating restaurant to have the cost of the lowest priced entrée deducted from the bill. Piccerelli noted that members will find their savings can easily exceed the donation by using the Rhode Island PBS MemberCard just a few times. Participating restaurants and merchants are listed in the customized Rhode Island PBS MemberCard directory that comes with the MemberCard. Restrictions may apply at some locations, and are noted in the member benefits directory and online after September 9 at the Rhode Island PBS MemberCard page at membercard.com/ripbs. New benefits added throughout the year and changes to existing benefits will be listed on the Rhode Island PBS MemberCard Web page. Members are encouraged to check membercard.com/ripbs or call the toll-free benefits hotline at 1-888-727-4411 for the most up-to-date listings. To get your Rhode Island PBS MemberCard, join Membership Plus by calling 401-222-3636 x209 or sign up online at ripbs.org. The Rhode Island PBS MemberCard program is administered by Member Benefits, a company with more than 20 years experience in managing member benefits programs for public broadcasting stations. Currently, an estimated 1 million public broadcasting members enjoy MemberCard benefits through their support of public broadcasting stations across the nation. The news came down earlier this week: THE BLETCHLEY CIRCLE is returning for a second season. The four-part series will air on Rhode Island PBS in spring 2014. 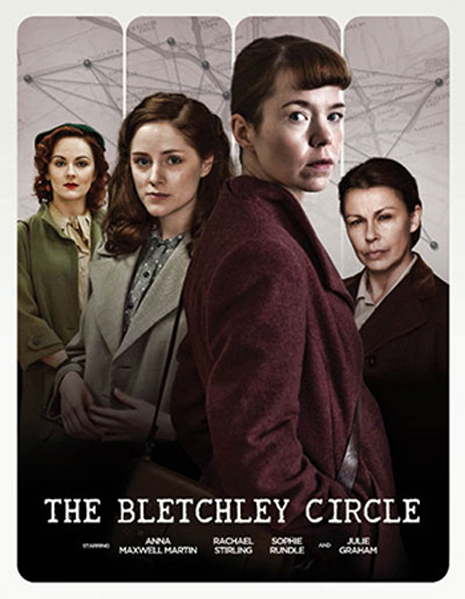 A production of World Productions (United, “Line of Duty”) and distributed worldwide by Content Television, the series premiered in the U.S. last spring to critical acclaim. 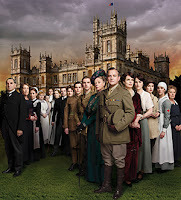 PBS also delivered the good news about a coming season three of CALL THE MIDWIFE and season two of MASTERPIECE Mr. Selfridge. Stay tuned for information about our 2014 air dates, as well as video and photo previews as they are released. Beach closings - are we going backwards?